Hoopfest is Cure for Basketball Fever! This time of year is a basketball lovers dream and the action at March Magic Hoopfest is sure to be hot! Come and play! Well its the middle of March and all over the place people are thinking about only a few things: Spring Weather and BASKETBALL! College and prep basketball all over the country is heating up and as tournament pairings come out fans of hoop start getting that wild look in their eye. Cinderella teams causing big upsets, full-court buzzer beaters that both thrill and break hearts of fans; it&apos;s just a really fun time of year. Well, while college and high school basketball stars are the ones shining in the games we&apos;re all watching, there&apos;s nothing like taking your own shot at greatness. Tired of sitting on the sidelines and getting the itch to drain a long-range three-pointer of your own? 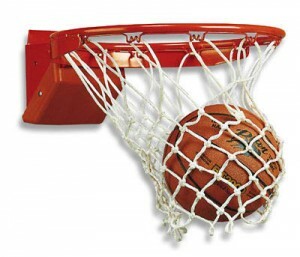 Jump into the action at March Magic Hoopfest at Jenison Field House March 20-22! Held in conjunction with the MHSAA Boys State Basketball tournament at the Breslin Center, this hands-on family-friendly fan fest is the cure for spring fever. Come take your best shot at any and all of the fun basketball related skill stations! Try a long-range buzzer-beater at the Rainbow Shot! Can you go Around-the-World? How about the ball-handling skills challenge? Or slam dunk area? Got your competitive juices flowing? I thought so! But listen, you don&apos;t have to be a basketball all-star to have fun at Hoopfest. There is a lot of fun to be had just watching the action, or bring your young child and let them go wild in the Kids Zone! Have some fun and introduce them to the event&apos;s brand-new Mascot Hoopie! Or walk through the MHSAA Hall of History and see images from classic High School Basketball match-ups from the past. The event is just $2 to get in, or free with your valid 2014 MHSAA Tournament Ticket. Going to the high school tournament games at the Breslin? Make Hoopfest a stop before and after! Not going to the tournament games? Come spend all day having fun at Hoopfest for just $2! Spring is kind of here, but its still cold, windy and muddy out - Come play at March Magic Hoopfest! Its tournament time, basketball fever is in the air and the cure is a day spent at Hoopfest! See you there!